Founded in 1639, Stratford is a community rich in history, and abundant natural beauty. Situated on Long Island Sound, and bounded to the east by the Housatonic River, Stratford has long viewed its waterfront as an important natural resource. The Town’s location on Long Island Sound affords residents and visitors alike with two public bathing beaches, five marinas, several fishing piers and two public boat-launching facilities. 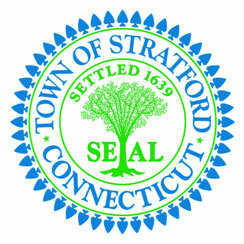 Within an hour’s drive of New York City, Stratford is the easternmost town in Fairfield County-Connecticut’s Gold Coast. Major highways such as I-95, Route 8/25 and the Merritt Parkway bisect Stratford, and provide convenient access to the entire Northeast corridor. The deep water harbor of neighboring Bridgeport provide excellent docking and terminal facilities for either domestic or overseas shipping, in addition to ferry passenger service to Long Island. Sikorsky Memorial Airport, located in the Lordship section of Stratford, remains a hub of corporate activity and provides commuter service to other cities in the northeast. Rail service provided by Metro North with connections to Amtrak further round out an excellent array of transportation choices.